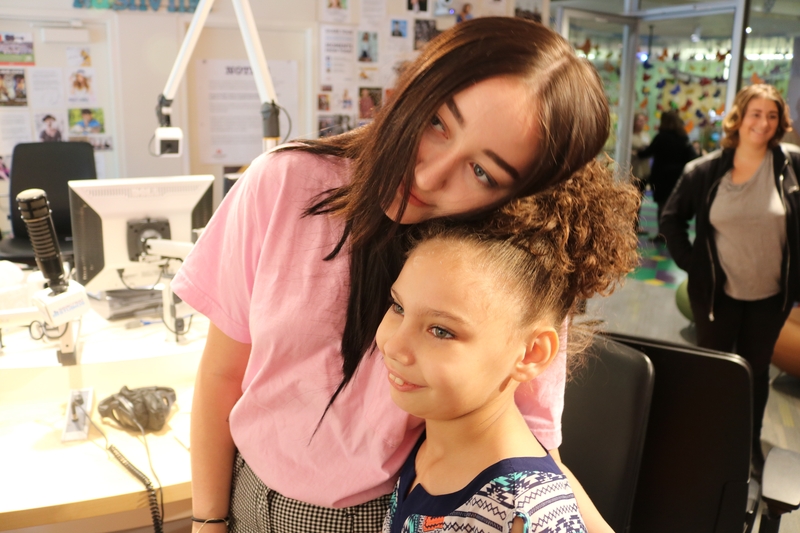 https://youtu.be/hNNtMwdwkL4 By Sierra Sparks, Lipscomb University Teen pop star and actress, Noah Cyrus, made a special visit to Seacrest Studios at Monroe Carell Jr. Children’s Hospital while visiting her family in Nashville! While touring with Katy Perry, Cyrus spent her off day playing games, creating fashionable hospital gowns, and hanging out with our patients! Children and their families waited eagerly inside the studio for the chance to meet this spunky star! During Noah’s visit, she gave patients a look into her life. She told our friends at Children’s Hospital that she loves glitter and rhinestones! If she were to design her own hospital gown, she would immediately add those two signature elements to give her gown the “Noah style”. Noah also shared with our audience some struggles she faces about being in the music industry. She gave our friends an insight into what it’s like growing up famous, and how she experiences sickness, just like the rest of us. She encouraged our patients to never let a stumble be the end of their journey. After Noah met with patients and took pictures, she shared with us how much she loved her visit to Children’s Hospital. Noah was gracious enough to invite patients to her show the following night. We loved getting to spend our day with Noah, and can’t wait to have her come for another visit!